Made in Charlevoix, MI. 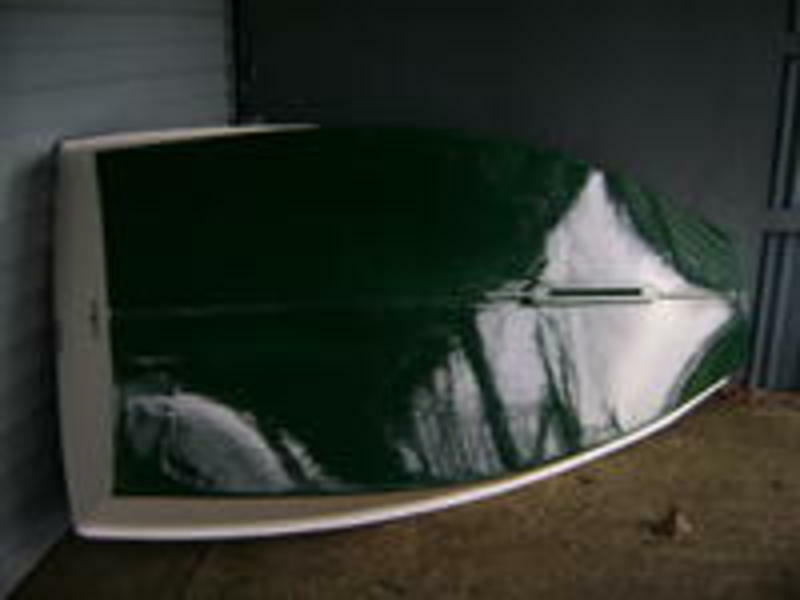 by the Turner Boat Co. Green bottom, White sides,centerboard & deck. Varnished interior, tiller and rudder. Varnished mast, boom & gaff. 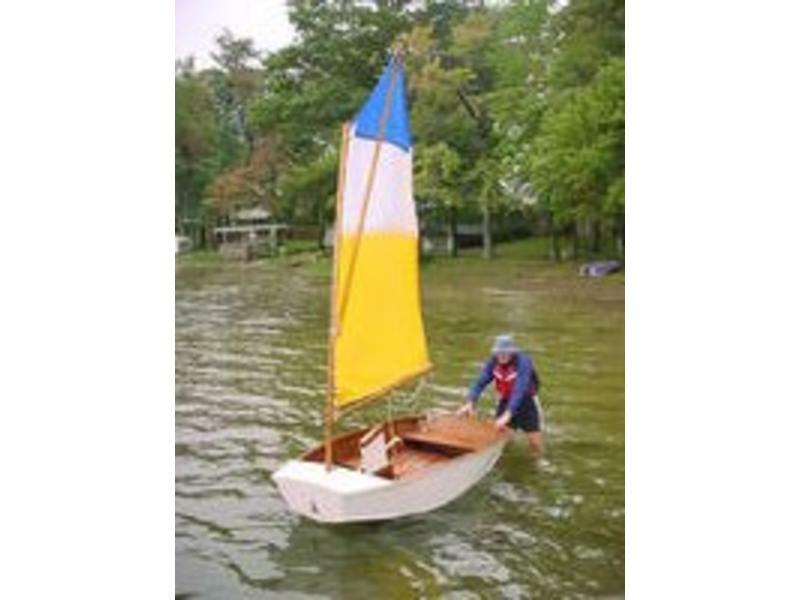 Yellow, blue & white sail. 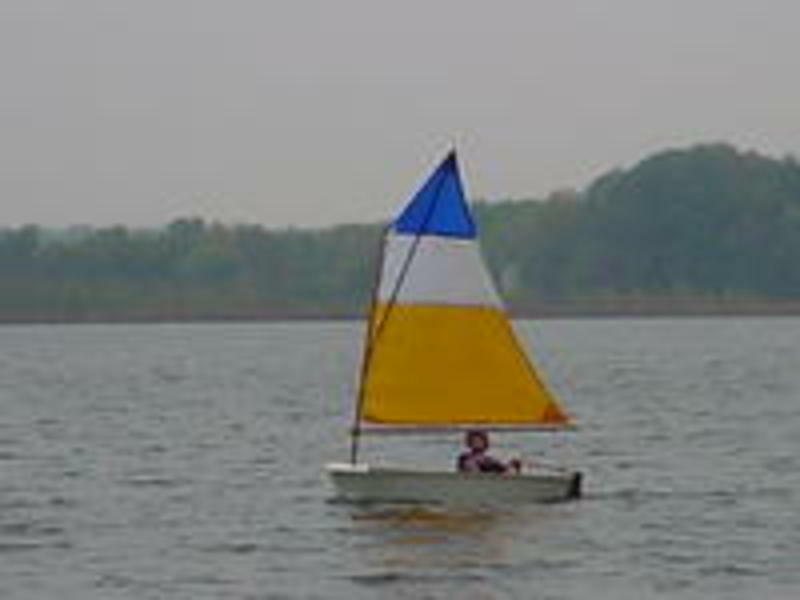 Stable sailboat. Great for a beginner or just showing off to the crowd it attracts. Hull, centerboard, tiller, rudder, mast, boom & gaff.